As soon as the weather warms and they announce that spring is here, a wonderful filter washes over the world. You feel like throwing the windows open with a song, like Snow White singing to every bird in the forest. But then, the purposeful Cinderella side of you remembers…there’s work to be done. As much as spring means throwing open the windows, it means busting into the cleaning supplies, too. But don’t dismay! If you take a minute to read through these handy tricks and tips, you’ll be well on your way to prioritizing tasks and getting more done with your time in coming weeks. 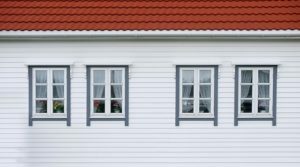 1: Start on the outside by checking your home exterior for winter damage. This includes the yard and garden as well as your house. Be sure to check the following key areas, taking advantage of that spring sunshine to get a really good look!! • Check edges around eves and trim: Check all the seals and cracks around your home to be sure you’ll be locking in that summer A/C. Be sure to remember weather stripping around doors, too, and make sure everything is aligned and well adhered. • Check doors and windows: Not only will you check your doors and windows to be sure they’re looking they’re best, but they’re also functional parts of the face of your home that need maintenance every year. Look for wear and tear, holes in screens and any debris trapped around them. Remember that debris, if not cleaned out, can cover up damage you should know about as soon as possible! • Check the roof: Check for missing shingles, damaged masonry, leaks in skylights and any signs of mold or mildew. 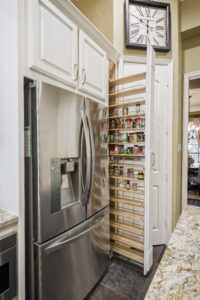 Expert tip: If you aren’t able to comfortably access these areas, or if you aren’t totally sure what you’re looking for, call a home maintenance expert (like us). These kinds of home check-ups are exactly why we put the Signature Home Maintenance program together! 2: Clean up patio furniture to give your yard a fresh and spring-ready look. You know you’ll want to use that outdoor seating sooner than later (if you haven’t already)…so be proactive and get this task done BEFORE it becomes a disappointment! Getting patio furniture ready for the season is also a great way to celebrate the arrival of spring, and gives you that happy spot for cocktails once your tasks are all done!! 3: Great! You’ve made it inside. Before you do ANYTHING else, strip winter layers from all beds and furniture around the house. Take winter pieces off the walls if you have any. Remove anything and everything used for winter, even if you suspect there’s still another chilly night or two ahead. By clearing this stuff out, it makes your spring cleaning easier, gets the job done better, AND sets you up for success for the new season. 4: Deep-clean the kitchen as your ceremonious rite to the arrival of spring! You’ll want to be entertaining guests soon, which means cooking, not to mention hanging out in the kitchen. A legit deep-clean of the kitchen should be done at least once a month (ahem), but if you can at least swing once a season, now is the time to inaugurate the habit! Be sure to clean behind cupboard spaces and wash out the entirety of your dishwasher. You’ll be amazed how good it feels once you’re done!! 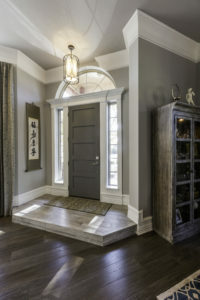 5: Refresh all your entryways for an immediate “clean” feeling to welcome you home. This will also set the tone for anyone who stops by, particularly those other family members who contribute to the mess! By cleaning entryways and refreshing them early in the season, you can set a reminder to yourself and everyone else that it’s time to tidy up and STAY tidy. 6: The forgotten surfaces…mirrors and lamp shades. By cleaning these surfaces and cleaning them well, your home will positively glitter. Not sure how to clean a cloth lamp shade? Start with a lint roller to pick up winter dust. If it needs a washing or has any stains, use the mildest soap you can find and dunk the shade continuously into a warm bath. In truly desperate cases, you can see if you can get it dry cleaned. As for those glass lamp shades, you have no excuse! Wipe those down along with your mirrors, and your home will absolutely sparkle! 7: The not-so-forgotten surface…floors. The thing about floors is that you need to be FINISHED with the rest of your cleaning before you wash them. You’ll start by stripping layers of debris off the floors first, yes. You’ll put things in their places. But the scrub or vacuum comes last! 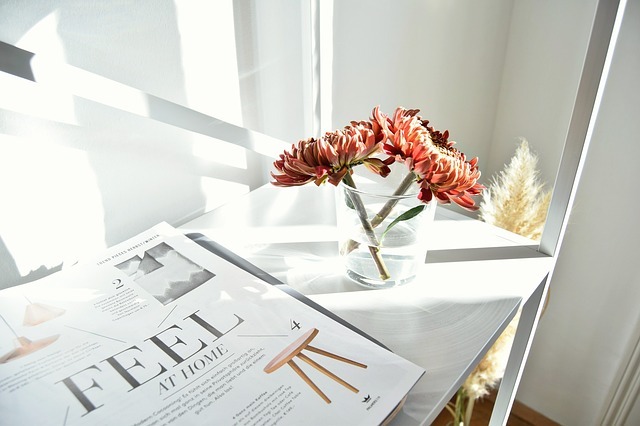 Other cleaning around the house dislodges dust and dirt, so once you feel like a space is really “done,” consider a scrub of the floor by hand to get those nooks and crannies for a truly beautiful start to spring. 8: Tune-up garden tools if you’re ready to get out in the dirt!! Spring means spring gardening, but before you so much as throw a seed, you want to make sure your tools are cleaned, sharpened and in working order. The biggest buzzkill to spring gardening is remembering that a dud tool still hasn’t been fixed! 9: And while you’re in the garden…make this the year to build a garden path!! If you don’t have one already, this is a GREAT trick to make your garden more inviting than ever and to give it an attention-grabbing spring “refresh.” Consider the different materials you like best, then dream up the winding path and make it happen! 10: And, if you’re into this kind of thing (probably not from your own garden since you’re just getting started), treat yourself to some spring blooms in the home! 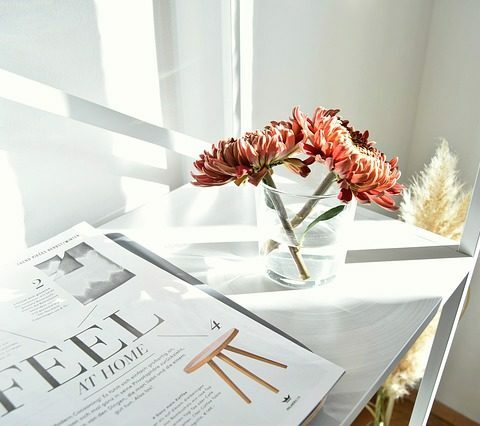 Fresh flowers in ANY space bring spring right into your heart. And the purchase can be a reward for getting through this monster list! Allow yourself to feel satisfied and a little pampered after a job well-done. Have you already checked some of these off your list? Share a picture of your favorite spring spaces with us on Facebook!